After a morning ride, I spotted the oil turning milky brown. Oh no! Then a quick check on the coolant level showed the overflow reservoir almost empty. OH NO NO! Not good. I have previously experienced this on my car – then a 13-year old beat up Honda Civic. It was an engine head gasket failure. Repairs not only took some time, but was expensive. So the first thought that went through my mind was a long’ish downtime and expensive repair. So I did some quick research on the internet and found that the likely cause of this is a failed oil seal within the water pump. Not too difficult to replace, but the challenge is to get all the water out of the oil system. Being a Saturday before a long weekend (Monday is Labour Day holiday), I called up UM to check if they were opened. Yup – and I went there immediately to get this sorted. I hate going to UM. Don’t get me wrong – those people are nice. And very knowledgeable too. They also have very reasonable prices there. So why? Reached there around 1:40pm, and it was only around 4’ish that my bike got some attention. These poor mechs there are overworked, and the bike queue is typically long. The wait is always a couple of hours – sometimes even for a simple job. My 200NS getting some love. Opened water pump. And, yup! That’s 1-week old coolant that will be dumped. Wasted grape juice. So sad. So after some fiddling, the good guys at UM got my water pump oil seal replaced. I also took the opportunity to replace the oil pressure switch as it was giving me false low oil pressure warnings. And since the carburetor was out, also used the opportunity to get it cleaned up and serviced. I specifically instructed the mech to fill the radiator with plain water for now, as I wanted to make sure that the oil seal replacement solved the problem before I put in proper coolant. Will monitor it for a few days before I replace the plain water with my half-bottle of remaining Maxima Cool-Aide. Also, the mech recommended that I used “cheap” mineral oil for now and the next 1 or 2 oil changes (at reduced intervals). This was so to flush the engine and clutch systems off the old coolant-mixed concoction. 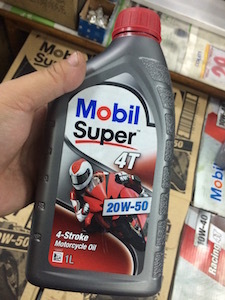 So I’ve “downgraded” my Lupromax Razor 4T fully synthetic to this Mobil Super 4T 20W50 for now. I intend to change this out in the next 1 or 2 days to flush out the system. Heya! Thankfully, this incident didn’t lead to an overheating situation. Luckily, I discovered this very early. I am absolutely certain that it wasn’t mixing when I took the bike out for a ride that morning, and the problem only surfaced when I returned home. How do I know? Because I took the bike out not only for a spin, but also for some picture taking. Hahah! 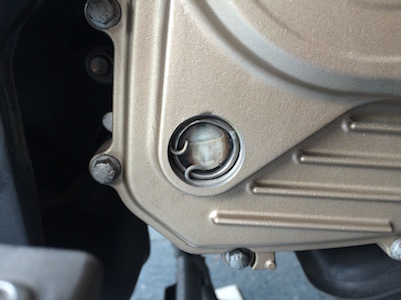 In fact, the banner picture of this blog was taken on the morning of the day the coolant and oil mixed. Looked at the pictures that I’ve taken, and it was still “normal” then. But I’m thankful that this was a relatively easy fix though! Why would you need the water pump replaced? Anyway, I didn’t replace the water pump – only the oil seal. I remember it was something closer to 100. But then again, check with your workshop for an actual quote. Sorry to hear that. Hope you get your bike fixed soon. My suspicion is that you’ve not completely flushed the cooling system and thus some residual oil/coolant mixture remains in your cooling system. Otherwise, take it to your local service centre for a proper diagnosis. what is the reason for it….. If you’ve read the post above, you would have realised it was an oil seal failure. Same problem I identified at very early stage. Motul 7100 turns brown and coolant was Also there. Mechanic flushed Engine, changed Seal and topped new oil and filter. Now after riding few kms I can still find some milky white on oil level indicator. I asked mechaniche told me engine oil is ok right now. But I am afraid if it is mixing again what will be the reason. Any suggestions?. Try an oil change. Could be residual coolant in the oil chamber. BTW, did you replace the engine oil filter too? 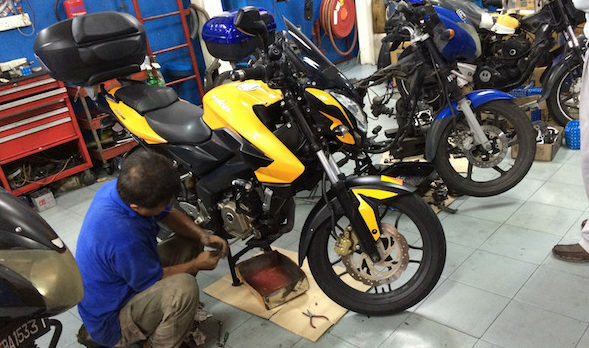 You can replace any part of your motorcycle if you have the necessary tools and skills. There is no need to overhaul the engine. You’ll need new oil though. Don’t forget the filter too. 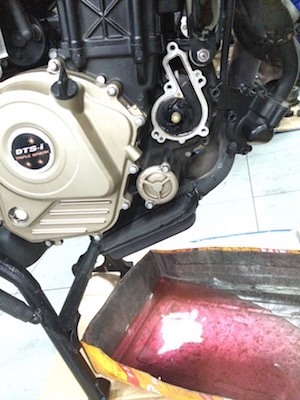 I facing same problems in my 200ns engine oil is milky colour .there no coolant in coolant tank . Before 1year I have change water pump &seeling.last2 months ago engine gasket changed . Coolant is top-up .not seeing oil content in coolant.but coolant is mixing in engine oil .what is the real complaint ? Unfortunately, there’s no preventive maintenance for the water pump oil seal. I guess it’s just poor design or choice of material used. Importantly, select the correctly-spec’ed coolant for the bike to ensure that its compatible with the materials used in the cooling system. Refer to the user manual for this. 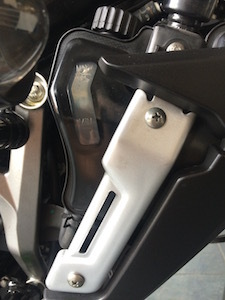 My problem also same like this..and when im purchase replacement kit,it comes with two Rubber Seal and one rotor pump.. my question is, is it need both O Rubber seal installed? Because its easy to remove 1st one.. but inside, is theres another seal to replace? Or just only one? Hi! Do you remember the part code for the oil seal? I always keep on buying the wrong one. Next Next post: Oil Level Inspection Window Clear Again! ← Weekend Project #3 – Taming the beast’s roar ← Oil Level Inspection Window Clear Again!